Quantity: Minimum 500 pieces. For orders above catalog quantities, please contact your distributor for production time. 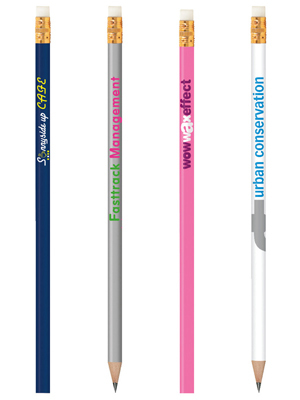 All pencils include a gold ferrule, white eraser and #2 graphite lead. Sharpening: Add $.02 per pencil. Sharpening may result in lead dust in shipping carton. Sharpening not available on Digital pencils. Shipping: 2-day service at ground rates. BIC Air Express 1 Day Air. Pencils are shipped unsharpened. Click here for more information.